Very cool models! Is it just me or the TankDune looks like a Brood War tank (I like it a lot)? Very excellent models! Keep up the good work. Thanks! These are the mostly done ones I had just sitting. I know I won't have time to work on them anymore so I'm uploading. There they are! The most recent batch of uploads are great! Hey Ghostnova (or anyone) I downloaded the Selendis model, and for some reason, her arms and legs were just white. I don't know how to fix this. 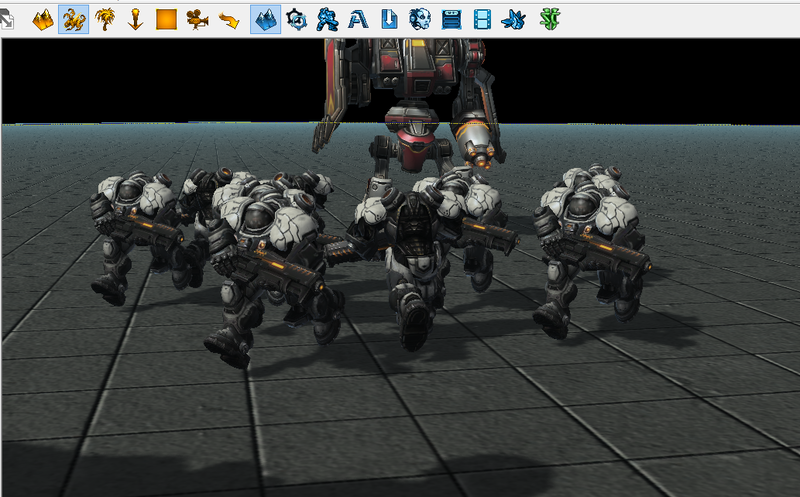 I downloaded the marine pack, and the marine models in-game are white blobs with guns. I re-downloaded and imported, and now just marine desert camo has his shoulder texture. How can i fix this? The animations do not fix immediately. Quit the game and the editor and test again, and the animations will be fixed. I'm sure you're sick of hearing this buuut... the Firebat fix model file still seems to refuse to take a decal. I've tried downloading it several times and reimporting it and it refuses to take a damn Decal... any advice? Indeed, bit curious as to why this is occurring. Seems to occur when changing the Marine's model to your custom marine models. Does not occur when changing the Marauder, say. In the options of the model, there is a tab named animations In it there is an option called REQUIRED ANIMATIONS Delete animations. Hey man! Yeah I'm using it right now for some hero units. I'm self taught in max so I'm still learning a lot in max 2011 so I still use the old scripts for super quick projects like the adept I made since I'm used to 2010. Hopefully I'll have some of these hero units done to show off soon though. Oh and your scripts make it SO easy to use HoTS models it's awesome!